peek >> << backHalf Street north of N, August 2005. In early 2015, the new owners submitted for zoning review a revamped plan for the site, offering 440 residential units (both rental and condo) and over 60,000 square feet of retail. Construction began in February 2017. The condo building, now known as Envy (or eNvy), is the darker-shared building running to the right, along N Street. 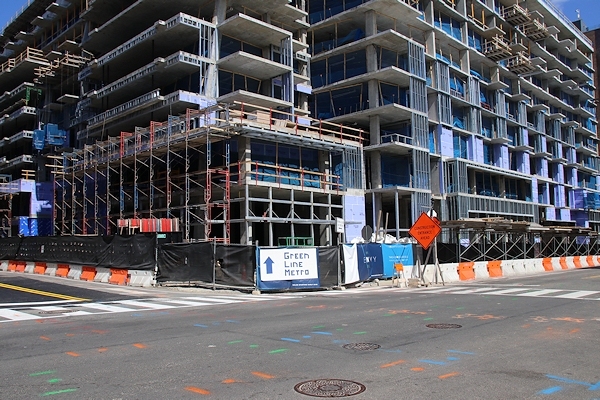 March 17, 2019 - As spring 2019 arrives, both 1250 Half and Envy are topped out (or about to be). When building the 55 M office building in 2007, Monument Realty excavated the entire block and built the garage and foundation of the northernmost part of the next phase of its development, which never happened. But that previously built foundation allowed the current development to erect the northern/1250 portion of the skeleton at the same time as foundation work continued on the southern/Envy portion. Now it's all sprouted. A similar angle to the above rendering, with work underway on the site wags once called Monument Valley. A 2018 rendering of the Envy condo building, looking west on N Street. Another rendering of the Envy condo building, seen looking north across N Street. The same view as the above rendering, back in December 2006. March 17, 2019 - The same location, with Envy well above ground, and with its structure built across a new opening for Cushing Street. A rendering from May 2015 showing how the building will impact the view from inside Nats Park. 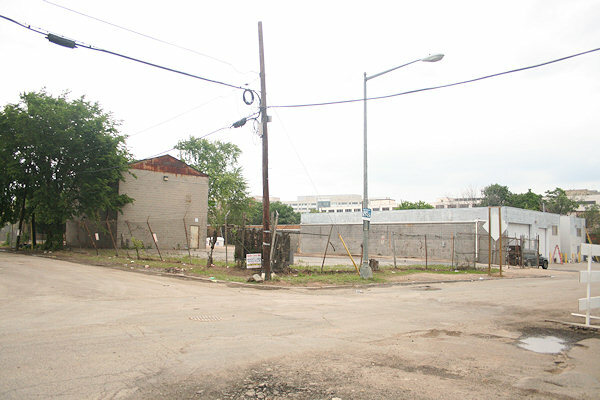 A drawing from the February 2015 zoning submission showing the frontage along Half Street, looking south toward Nats Park. Renderings from the original Monument Realty plans for the site as unveiled in 2006, but never built.